The Minta kitchen sink mixer offers elegance and functionality. 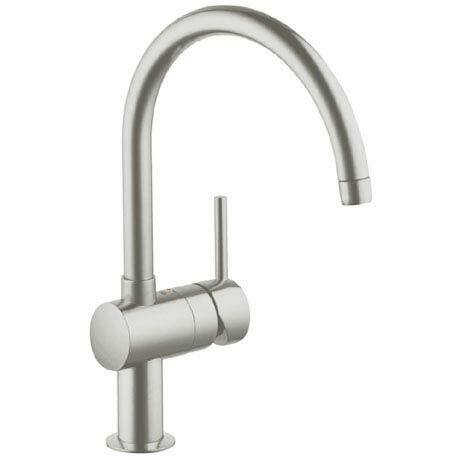 A contemporary design featuring a U-shaped swivel spout. The tap has a premium stainless steel finish while GROHE SilkMove® technology allows you to smoothly and accurately set the water volume and temperature. Grohe kitchen taps come with a 5 year guarantee.